All-steel Bonneville A Roadster ! These are pretty special. Based on Al Teague’s iconic Bonneville Roadster, artist Dan Wright has made just four of these beautiful pieces so far. They’re 18″ long, 8″ wide and lost wax cast in Stainless and Bronze. Besides being a piece of investment grade art, they are cast hollow to be usable as an urn with an o-ring sealed access panel in the underside. We may not be planning our departures quite yet, but we can’t think of many better places to while away our forever years. Linkage Bombs & Rocket Clips! New from Stromberg. Three cool stainless steel clips that solve so many hot rod linkage problems. 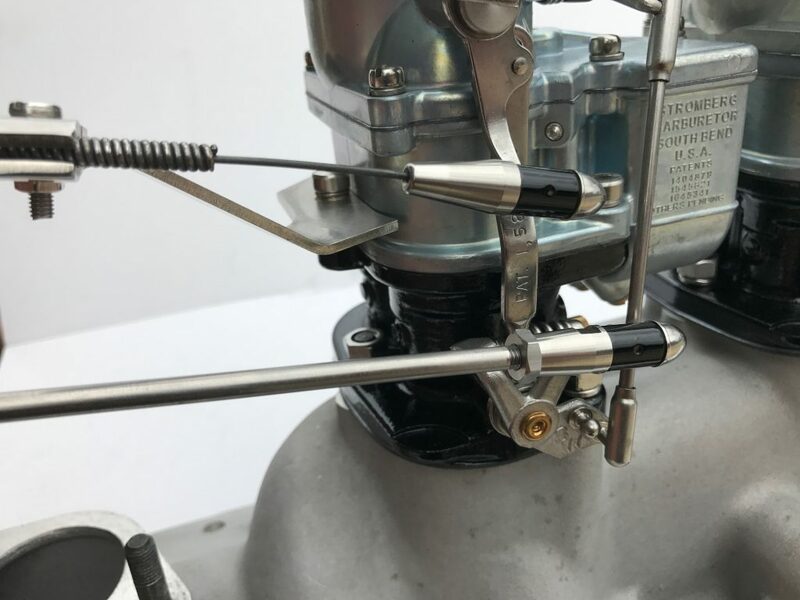 There’s one for that pesky oversized Stromberg 97 choke ball so you can quickly convert it to cable operation. And two for the throttle linkage, to replace that spring-loaded old Ford piece that stretches open every time you accelerate! First up, the new Stromberg Linkage Bomb (check the shape! ), part 9164K-R and -L . They are sized to clip straight onto the bigger Stromberg throttle lever ball (most clips fit a 1/4in ball only). 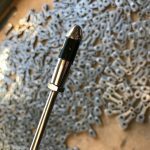 And they’re threaded 10-32 in left and right-hand versions for a 3/16in rod, with included lock nuts and small wrench flats for easy tightening. Applications? 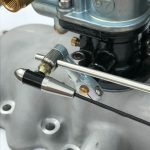 Linkage Bombs are the perfect start for your hot rod pedal-to-carb linkage – use one right and one left and you can twist the rod to adjust the length. It’s also a straight swap onto that swaged end fitting on most hot rod throttle cable kits. The Stromberg Rocket Clip (part 9166K) is a great new answer for that annoying Stromberg choke lever with its weird (0.275in) size ball! Just slide your choke cable or push/pull wire into the end. Fix it reliably with the the knurled set screw. And clamp the outer sleeve with a Stromberg 9552K-B choke bracket. 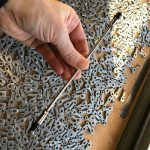 If your hot rod throttle cable comes with a bare end, of course, the Rocket clip is the perfect answer, especially when used with our 9168K 0.275 inch diameter Linkage Ball. Stromberg powered Specials have been around since the 1930’s, and here’s a real cool example. Graeme Raper’s ‘Monoskate’ Ford V8 special was first raced at Bathurst, Australia back in 1939. It’s got Grand Prix history and it’s still breaking records today. 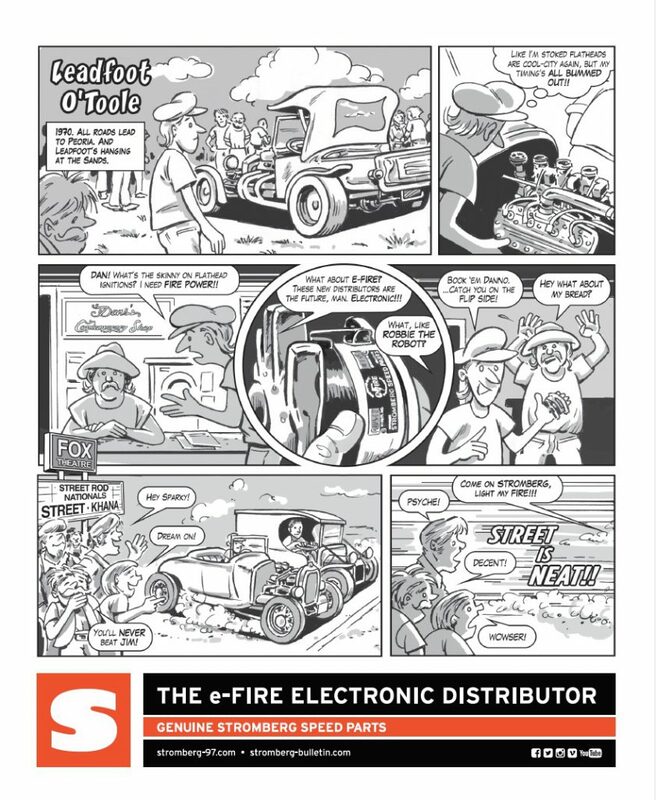 A typical Australian Special built on Ford Model A chassis rails, the car boasts a split front beam axle with a brass Fiat tractor steering box, a 180 horse flathead V8 with Offenhauser heads, twin Stromberg 97 carburetors, Scintilla Vertex magneto, 3-speed close ratio Ford trans, a locked Ford differential, and early Ford juice brake. The aluminum body is hand formed. In its first Iteration as “The Ben Tarr Rajo Ford Special”, the car was raced at Bathurst, Mt Panorama at the Easter 1939 meeting. The Second Iteration – as the “Alec Mildren Ford V8 Special” – raced at the NSW Grand Prix, at Bathurst 1946, 1947 and more. And then finally, the car became the “George Reed Special”, built in 1948 and raced successfully at Bathurst and Mt Druitt against the imported European cars of the time – Alfa Romeo, Maserati, Alta, Bugatti and Lago Talbot. Discovered by Mal Reid back in 1977, it was restored and raced successfully as a Historic Racer for over 20 years whilst holding many lap records at various circuits around Australia. 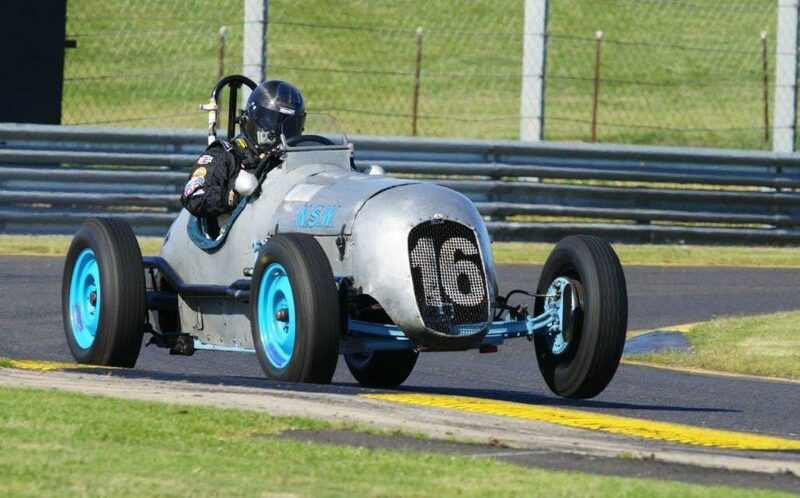 Only this week (end Nov 2017) “Mona” raced at the Rob Roy Hill Climb, where partly thanks to the hot weather, clean track and Graeme’s driving, she won the Fastest Flathead award and set a new class record, 1.75 seconds in front of the nearest competitor. Incidentally, Graeme now runs 18 new Genuine 97s on his various cars, flying the flag on road and track for Stromberg’s winning reliability!